Thanks to being blessed by not only miles of beautiful landscapes but also over 2,000 hours of sunshine a year, holidays in the Pyrénées are never disappointing. From the dramatic peaks to the gentle surrounding countryside housing numerous national parks, outdoor life is something to be cherished in this region. 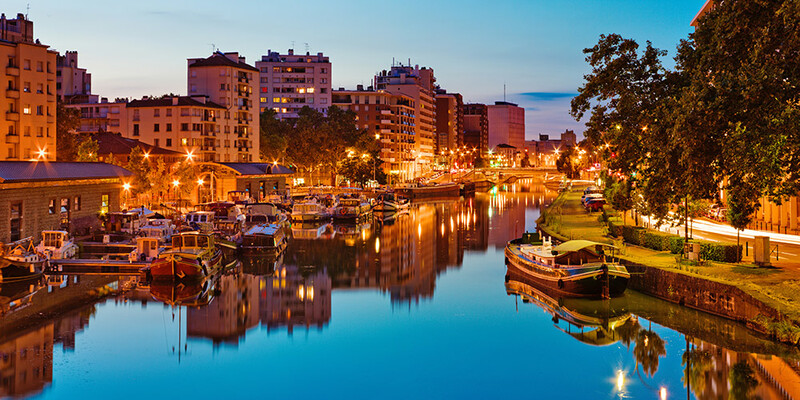 Whether you want to make the most of the various hiking trails or you’d prefer to explore cities like trendy Toulouse, camping in the Pyrénées is a fantastic option for families and couples alike. The Pyrénées region is situated in the South of France, sharing a border with several of Spain’s northern states. 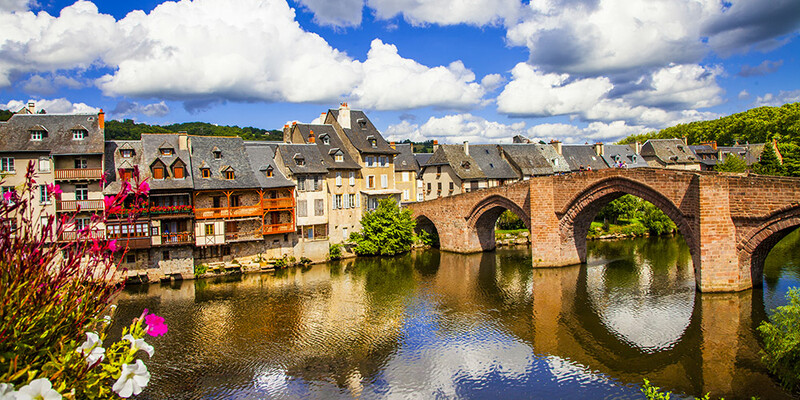 This helps make it one of the sunniest places in France and the perfect pick for an outdoorsy vacation. A holiday in the Pyrénées can give you a fantastic sense of variety and freedom. Take in the fresh air with hikes in every corner of the region - from the Massif Central Mountains to the Pyrénées National Park - along over 30,000km of designated hiking trails suitable for all capabilities. If you want a break from all that fresh air and those glorious panoramas, Toulouse is a wonderful city to explore that’s got both heritage and contemporary cultural draws. Nearby walled Carcassonne is also a memorable spot - plus it’s commonly included in one of the stages of the iconic Tour de France. Make the most of southern France’s most stunning natural area by opting for camping in the Pyrénées. Canvas Holidays have a bounty of great campsites to choose from that allow you to easily explore the region’s natural and manmade attractions. 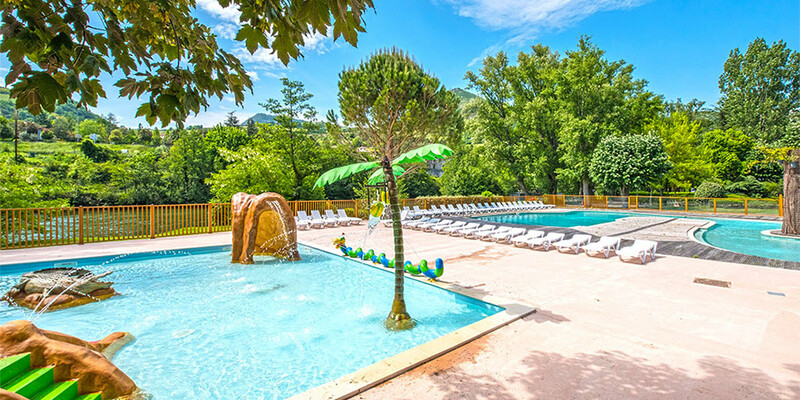 Stay within throwing distance of the immense Millau Viaduct at Camping Millau Plage, that also has an outdoor pool area and a position near the stunning Tarn Valley. For those that like indulging in kayaking and other water sports, Camping Riuemontagné is ideal as it sits on the shores of Lake Laouzas. Toulouse - Enjoy a wander around Toulouse to take in the city’s pretty pink buildings and lively atmosphere. The space museum - le Cite de l’Espace - is one of the top rated attractions and particularly great for kids. Pyrénées National Park - If you have adventure in your blood, spending some time in the National Park is a must! It stretches 100km from east to west and is a haven for walkers. Millau Viaduct - If you’ve got a head for heights, you’ll enjoy the Millau Viaduct. It currently holds the world record for the tallest bridge – it’s 343 metres tall! - and it links Clermont-Ferrand with Béziers and Narbonne. Puy du Sancy - Take a cable car up this peak to enjoy stunning views over the Massif Central Mountains. If you prefer to keep your feet closer to the ground, the historic Capucin funicular is the oldest funicular in France. Volcans d'Auvergne Natural Regional Park - The Auvergne is situated to the north of the Midi Pyrénées and is known for its volcanoes. Its National Park is the largest in France and fantastic for hiking, biking and exploring nature.